Christine Albert's wonderful non-profit that provides private end-of-life concerts by patients' favorite artists in home, hospital, or hospice. Donate or volunteer. 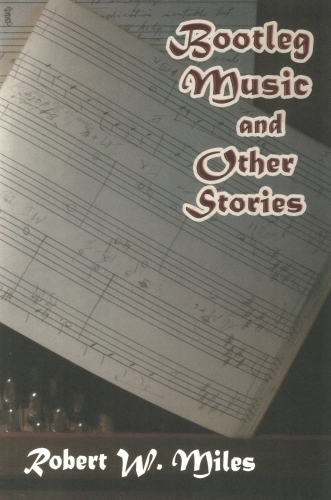 Bob has composed cabaret and stage music for decades, and has a new (2011) book from his experiences, Bootleg Music and other Stories (email me to order). He's my uncle, but don't hold that against him. When you absolutely have to have the most professional result (which should be most of the time), this is the place. Jerry or Nick will make bring out your very best, and help in many other ways. Delivers astounding quality and creativity for promos, albums, and portraits. Valerie shot the photos for Country Blues and Story Songs (at Poodie's Hilltop Roadhouse in Austin/Spicewood) and Blues for Lost Dreams. Experienced, personal service with album design and replication. Matt Eskey, co-owner, designed the covers for Blues for Lost Dreams, Songs for My Family, Country Blues and Story Songs, and A Good Year for Beer. Authentic Texas music, great burgers, nice folks, and they let Valerie Fremin and me shoot the album cover on their stage (one of the most recognizeable in Texas). Thanks, Brooks. She's The Nashville Nightengale, but she often performs and records in L.A. and Las Vegas. Hear her background vocals and a duet on Country Blues and Story Songs, and check out her new (2011) CD. Outstanding Nashville tour & session tour player. Hear his blues harmonica and pedal steel on our Country Blues and Story Songs. Outstanding Nashville lead player in every style. And he builds hot rods. Hear him (as well as his wife on bass on one track) on Country Blues and Story Songs. Outstanding Nashville piano player, amazing list of credits. Hear him on Country Blues and Story Songs. Outstanding Nashville bassist, amazing list of credits. Hear him on Country Blues and Story Songs. Outstanding Nashville fiddler, Grammy winner, CMA Fiddler of the Year. Hear him on Country Blues and Story Songs. Outstanding Nashville drummer, amazing discography, and serious about his hockey (coaching, semi-pro son). Hear him on Country Blues and Story Songs. Outstanding blues and blues harp from Austin, TX, solo or with the band. Direct support for active duty military and their families. Yes, you can donate, but the site is interesting (and important) even if you don't. Outstanding performer, writer, and music professional with both individual and partner shows (Albert & Gage, below). Check out her French show. New music & video from Christine Albert and Chris Gage, on their main website. A beautiful Memorial Day tribute. 11 Albums, 16 novels, and a helluva musician. One of the best acoustic guitar players I've seen up close, and I've been around for a long time. Grammy-winning, outstanding singer-songwriter, alone or with his group. Great, full service, independent Nashville studio that's been a tremendous help to me. John's a world-class engineer who has has recorded and mastered scores of the very top artists, groups, and songs, and he treats you right. Outstanding blues harmonica, and other styles. He calls it a French harp. Lyric poetry with a message, fused over a fabric of rock renaissance. They said it. They meant it. Great commercial website. I play 'em, and they play better than my Martins & Taks. EVERYTHING you want to know about guitar strings. If you're a pro, you need them. If you record other people's songs, you need them. "Makin' Texas Swing," and a nice guy. Kathleen Hudson's fine project, on the Schreiner University campus . Very extensive information, sales, and support site for Texas musicians and their work. Outstanding help for finger-style players. No more sitting in the front row and trying to figure out riffs & progressions. The National Academy of Recording Arts and Sciences (NARAS(R)), which brings you the Grammys(R) and Latin Grammys(R); is the premier nationwide support and advocacy organization for musicians, performers, and recording engineers, and supports music people in time of need through MusiCares(R). THE forum for ANY question or comment you have about guitars and guitar playing, from flat top to classic to, well, any topic, make, or model. Thousands of threads, well organized and searchable. There's also a gallery of great photos.